Talent shortages and high wages are a major challenge for software development companies in higher-income countries. These challenges will be increasingly difficult to overcome as online customer experiences become more complicated and technical to deliver. 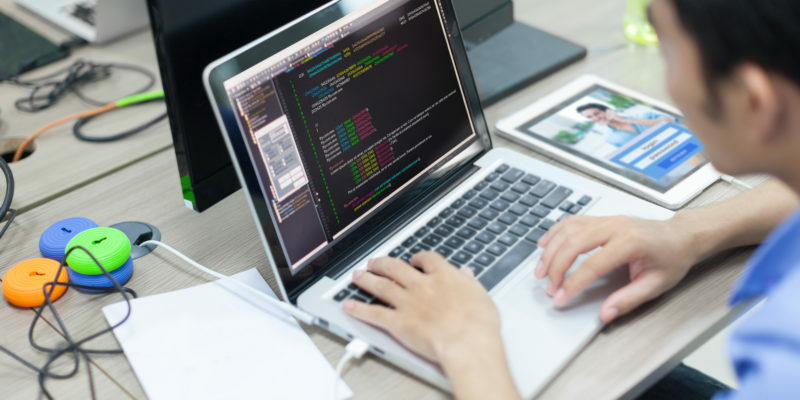 Faced with the need for deeper and broader skills to meet rising expectations, the use of offshore software developers has become a common approach to manage costs and access the required talent. But which is the best country for offshore software developers for your tech startup or digital agency? There are several obvious countries that combine high degrees of programming skills with comparatively low wages. To get you thinking, we’ve taken data to illustrate the “bang for buck” you get in various locations around the world. We’ve looked at over 50 countries, using a rating scale underpinned by an adjusted ratio of the skills (from HackerRank) and salary of developers (from Payscale and Glass Door). Russia, Vietnam, Indonesia, Hungary and India lead the ratings from 2016 data. These are the locations where you should expect great technical skills at a relatively low rate, although there are differences. For example, Vietnam, Indonesia and India offer good skills for low average salaries ($7,000 – $11,000 USD p.a. ), while Russia, Poland, Hungary and the Czech Republic offer exceptional skills at slightly higher average salaries ($16,000 – $20,000 USD p.a.). Of course, value can be subjective and there are considerations that aren’t in our analysis. Developers can add value by adding or fixing code as required, but also quickly and accurately understanding a brief and staying focused on your particular project. It’s also really important they will respect and protect your IP. There is also a personal dimension to consider when selecting an offshore source of staff for your production team. What is your working style? Your working preferences? Who is in your existing team? What time zone are they in? And how much time do you have to invest to achieve alignment? The ‘best’ choice will vary between cases. Whichever country you choose, it’s really important that you are familiar with the place you’re sourcing your offshore developers. This will allow you to better understand the issues in each specific country and better prepare you to manage those issues. Software developers that can construct system-level software, including desktop, web and mobile applications, database systems, embedded systems or others. Developers can be found with expertise in Java, PHP, Python, Ruby and other programming languages. Mobile developers that specialize in mobile apps. Mobile developers typically focus on Java (for Android) and Swift / Objective-C (for IOS), but require an understanding of mobile design, XML, JSON, APIs and various platform-specific considerations. UI/UX designers that can ensure the project looks, feels and works like it should. Designers will take responsibility for the user experience, and typically have skills in user interface design, graphic and web design, art direction and information architecture, as a minimum. Project managers offer multiple years of experience and a strong technical background to guide a production team. With a moderate-sized team, the organization and oversight provided by a specialist project manager can pay dividends. This is a basic overview of the availability of resources for software development in Vietnam. We’ve recently written a substantial update to the specific types of developers that are available in Vietnam. Head over to that article for much more detailed insight into the potential for an offshore software development team. An offshore software development team can be a highly effective solution for software development companies, lifting margins and unlocking capacity to deliver on client requirements. Contact us today to find out more about how an offshore development team can work for your company or project.